I went "On-Line" to search for replacement wiper blades for my Wife's 2010 Ford Taurus Limited since they were 26" on the drivers side and 20" on the passengers side. Found a great site with a reference a current ANCO $15 per pair factory rebate per pair. With this present rebate and free shipping I decided to add a set for my Nitro too. More research was needed to replace the rear Nitro blade. The original factory 11" part number is 05140655AB for my 07 but found it was not listed on many Sites. With more research found that if I used 2011 as the year of my vehicle it showed a 12" blade being used. Don't know if the 2011 Nitro actually used a 12" rear blade or that it is now the replacement blade for ALL Nitros. Ordered a 12" replacement blade and installed it. If you can not find a replacement 11" blade locally and want a 12" blade instead, here are some part numbers that will work. Rear- I had issues removing old blade. Read you could push down towards the glass but could find any release button. Thought I would just remove the arm and take it inside and view from the back for a release, but the arm didn't want to come off either! Finally just broke the original blade off (pushed out the remaining broken pin ) and clicked on the new blade. Experts recommend replacing your wipers every six months. Research suggests most people wait between 18 months and three years. The factory rear blade on my 2011 is 12". I replaced my front ones with Bosch Icons right after I purchased my Nitro; however, they do not make on for the back. Quality wiper blades should evenly and effectively squeegee water out of their path in both directions no matter what speed you're going. Soft rubber compounds necessary for wiper performance are always under attack by road grit, the sun, acid rain, tree sap, ice, and especially winter salt. 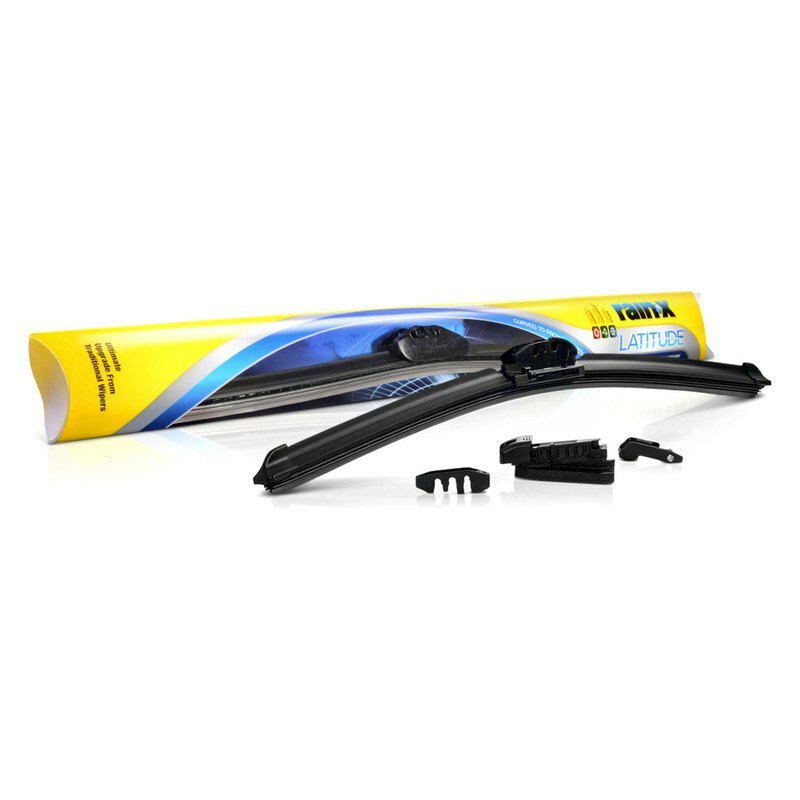 Of course, if the fastest wiper setting still makes you strain to see, you need to order wiper blades right here today. But unless they let you see very clearly, your wipers are more worn than you think. Ideally, they should be replaced every 6 months. What are the signs of worn wiper blades? If they chatter up and down or squeak, that's caused by friction from dried, hardened rubber. When they streak without twigs and seeds lodged underneath, the blade has become pockmarked from salt, ice, or being yanked free of ice. And if you see overall smearing, the rubber blade has dried and warped causing uneven wear and improper pressure against the glass. At CARiD, we aim to provide our customers with the finest Windshield Wiper Blades the industry can offer, which is why we accept no compromise when it comes to the quality. 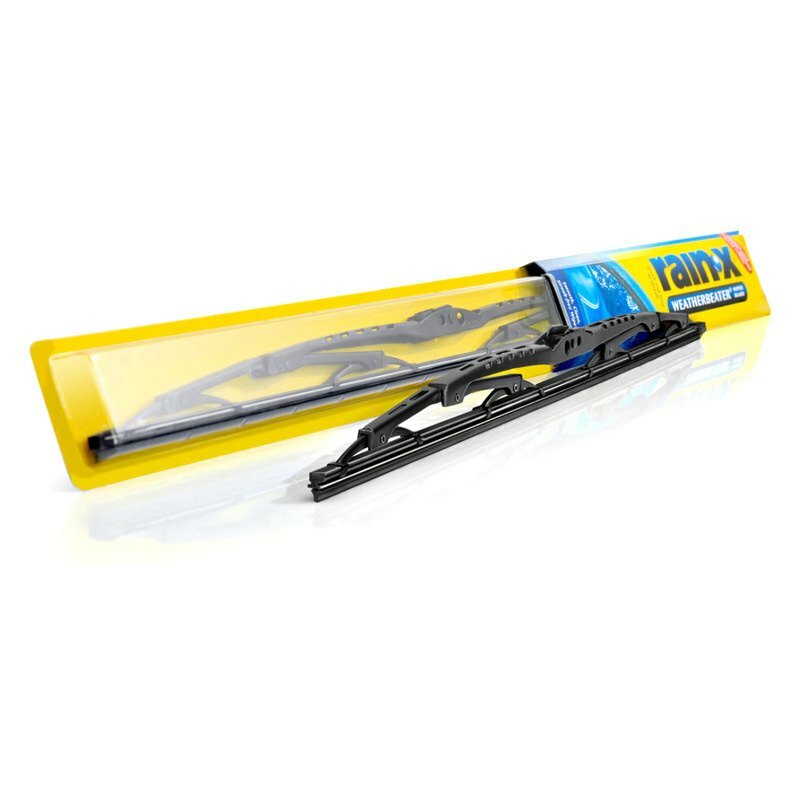 Created by the most reputable names in the industry, such as Rain-X, Michelin Wiper Blades, TRICO, Bosch the Windshield Wiper Blades we've gathered for you feature precise design and everlasting durability. 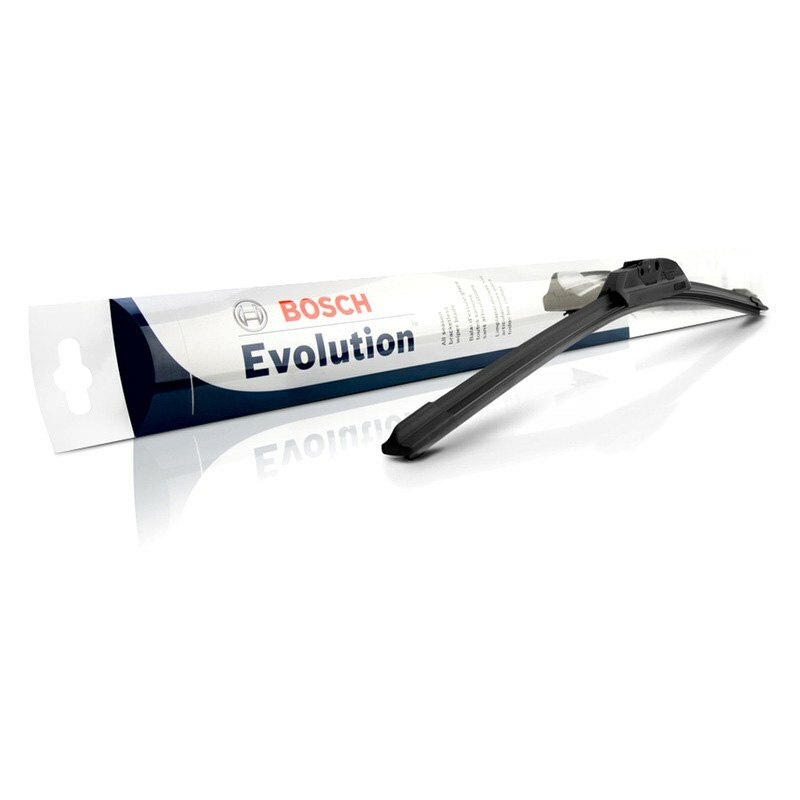 Each of the Windshield Wiper Blades is skillfully engineered by the country's most experienced professionals and then crafted from premium materials to ensure quality that is second to none. Manufactured to satisfy even the most discerning aficionados, the Windshield Wiper Blades that we stock are ready to reveal the true nature of your vehicle. Whichever wiper blade set you choose, you'll get longer life out of them by wiping more intermittently, and Rain-X exterior Glass Treatment allows you to do that. The liquid glass treatment works by penetrating and sealing microscopic glass pores with a hydrophobic coating to prevent water, sleet, and snow from sticking to the glass surface. Instead of naturally smearing all over upon impact, rain drops bead up and roll off leaving much of your glass area unobscured. Rain-X Glass Treatment applies easily with a dry cloth using firm, circular motion – then the final haze removes with a dry cloth or by washing with water. Reapply to ensure complete and uniform coverage. 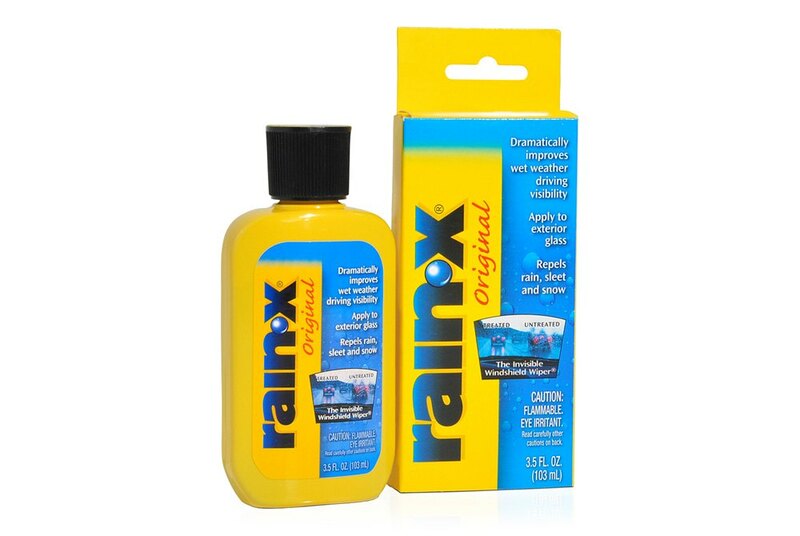 Rain-X also works well on shower doors and bathroom mirrors in your home. Rain-X typically lasts 3 months between applications. Adding windshield washer fluid to your 2010 Dodge Nitro is a fairly straightforward process. The video above shows you where the window washer fluid reservoir is located in your Nitro, how to remove the reservoir cap and add windshield washer fluid. The nice thing about adding windshield washer fluid is that you can't overfill the reservoir - once it's full, you can stop adding fluid! The video above shows you how to replace the rear (back) wiper blade in your 2010 Dodge Nitro. We recommend changing the wiper blades on your Nitro at least once a year even if you don't use your wipers much - the sun wears out your wiper blades more than using them to wipe water. Another trick to enhance the longevity of your Nitro's wiper blades is to scrape off the ice and snow from the windshield before using your wipers. A layer of ice is known to have sharp edges that can reduce the effectiveness of the micro edge of the rubber wiper blade. This video shows how to replace the front windshield wiper blades in your 2011 Dodge Nitro. Always replace both wiper blades, even if only one side is streaking - the rubber on the opposite side is likely worn as well. We recommend changing the wiper blades on your Nitro at least once a year even if you don't use your wipers much - the sun wears out your wiper blades more than using them to wipe water. 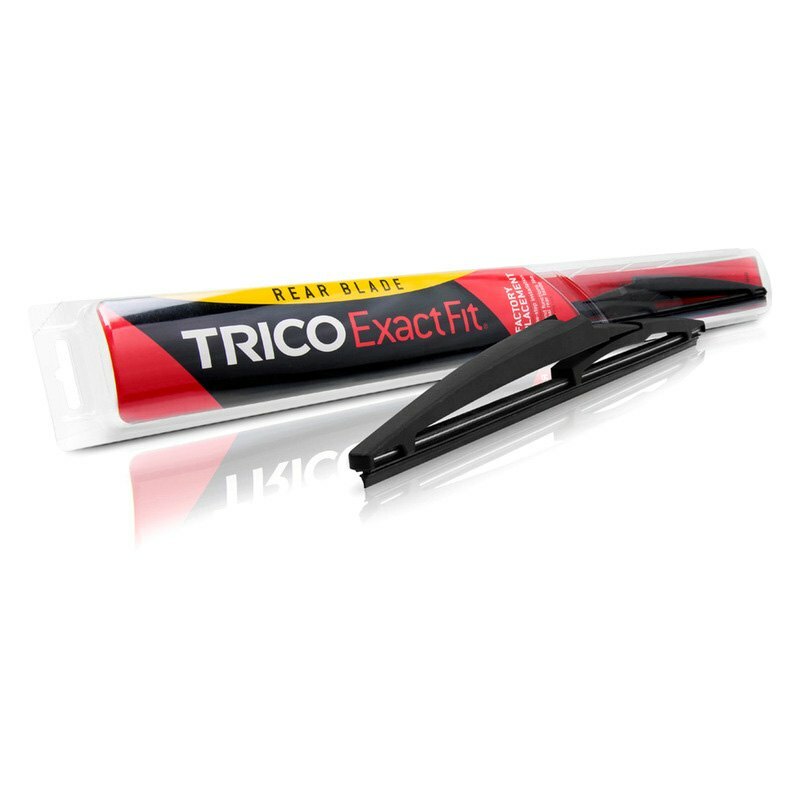 Another trick to enhance the longevity of your Nitro's wiper blades is to scrape off the ice and snow from the windshield before using your wipers. A layer of ice is known to have sharp edges that can reduce the effectiveness of the micro edge of the rubber wiper blade. In most Dodges the driver side wiper blade is larger than the passenger side blade - be sure to get the correct size blades for your Nitro!